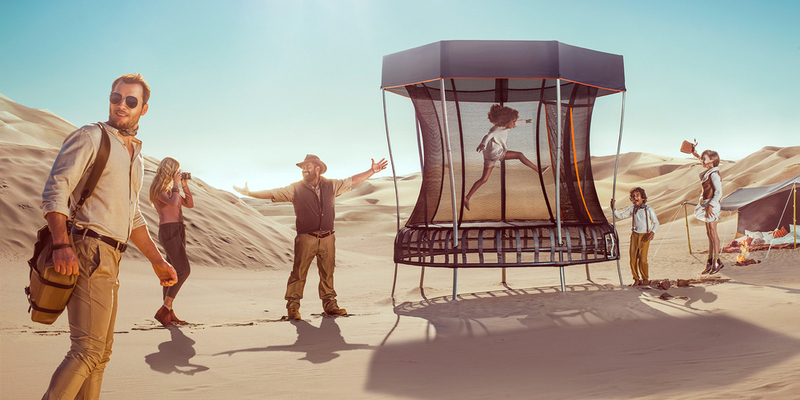 Vuly Thunder trampoline – Winner of a Good Design Award! Once again, Vuly has been recognised for its excellence in design! 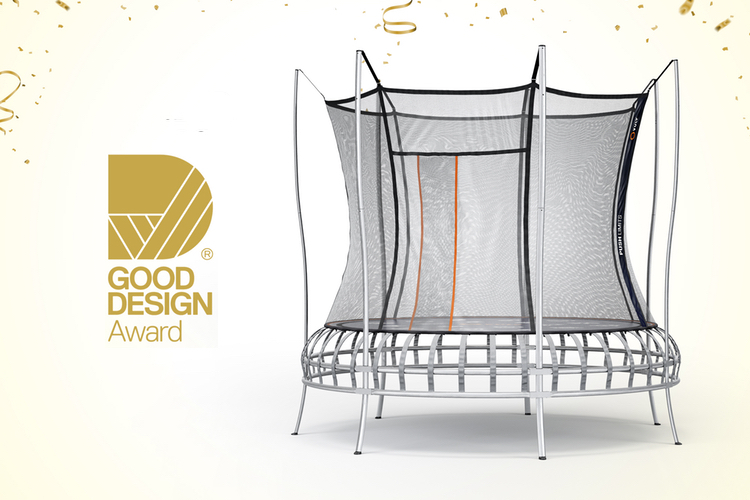 Our Thunder trampoline was awarded a Good Design Selection® (and subsequently won a Good Design Award®)in the category of Product Design, Sport and Lifestyle. Thunder joins the ranks of previous Vuly winners at the Good Design Awards: the original Thunder 1.0. from 2014 and the Vuly2 from 2015. At Vuly, we’re proud that our forward-thinking designs and brand have become so identified with premium trampolines. Thunder, in particular, combines the best elements of previous Vuly trampolines into a cohesive and truly original product. Vuly redesigned the remarkable Leaf Springs from Thunder Pro and its predecessor, Thunder Summer – miniaturising them for a lighter, dual-ring frame inspired by the previous Vuly2 and new Lift. This created a trampoline that provides a gentle edge and no-contact zone bounce – which only the signature Vuly Leaf Spring system can provide – in a product that’s more affordable for Australian families. Thunder features all of the leading safety features that set Vuly trampolines apart from the competition, including an enclosure that’s extra long-lasting, with a door that’s zip-free and seals shut while bouncing. While creating beautiful trampolines that outlast the competition is one key to the Vuly success story, our philosophy is that even the most established design always has room for innovation. Improving upon the traditional trampoline has been the Vuly goal since the company was founded in 2008. Since the original Vuly Classic and its revisions – which brought the first jump mat with printed games, completely push button assembly, safety enclosure with impact-absorbing rings and double-sided safety padding – Vuly has been pushing the limits of trampoline design. The original Thunder 1.0. and Thunder Summer followed Classic, and totally revolutionised bouncing. These models originating many of the incredible features that form part of the Vuly DNA and are still found in Thunder today, like the Leaf Spring system and no-net-pole-contact hourglass net. Since then, Vuly has continued to develop both the traditional coil spring design and the Leaf Spring design, which uses no coil springs at all. Lift and Thunder, and their respective ‘Pro’ models, are the result of these years of design innovation. Having won a Good Design Award® – as well as a Good Design Selection® alongside the new Vuly 360 swing set – we've overjoyed that Vuly products continue to be acknowledged by the panel of Good Design experts as leaders in innovation.